It’s no new information that a driver can face loneliness while on the road. Pending that a driver’s company offers a rider policy, there’s no guarantee that a trucker can convince someone to join them on the long haul, much less guarantee to keep them happy while doing so. Luckily for drivers, many companies are now offering pet rider policies, and having one’s four-legged friend in the cab is not an uncommon scenario. While “pet” is a partially ambiguous term, many drivers take this to mean “dogs,” and unless specified otherwise, it can truly only translate to “dog.” Many companies have a weight or breed restriction in regards to what breeds of dogs are allowed in the cab, and for safety and liability reasons certain breeds or types of dogs may be restricted from heading out on the road. For the owner-operator, the flexibly of bringing along your pooch is likely much more open-ended. However, there are still factors to consider when choosing to bring along a dog, and certain breeds may be more suited for the trucking lifestyle than others. Before deciding what kind of dog to travel with, check out the Humane Society’s important travel tips for animals. Many carriers allow smaller breeds in the cab when instating pet rider policies. Generally speaking, smaller breeds of dogs may be easier to manage in the cab than larger breeds, if not solely for the amount of room they may require to become comfortable in the truck. Additionally, smaller dogs usually require less food and water than larger breeds, and therefore can prove to be less maintenance for the driver. Smaller dogs are easy to groom, which is an important factor to keep in mind when dealing with fur that has to potential to mat when making the long haul. Types of breeds in this category that many truckers have taken along with them are Miniature Dobermans, Chihuahuas and Pomeranians. larger dog with a heartier constitution to accompany them on the road. Medium-sized dogs may not be as susceptible to cooler conditions like a smaller breed, in which case they may be ideal dogs for over the road truckers heading into territories with alternate climates. Depending on the breed of dog, some medium-sized canines will require more physical activity than others. For drivers who are hoping to stretch their legs frequently, terriers and spaniels may be what you are looking for. On the other hand, drivers who aren’t attempting to make multiple stops along the way ought to consider a breed more satiated with remaining stationary, such as a basset hound or an English bulldog. If a driver is not necessarily concerned with size but would rather worry about the maintenance required to take their companion on the road, taking an aged dog may be the way to go. Older dogs -- especially those who have been on the road or are used to traveling – will no doubt prove to be much more resilient on the road. Older dogs generally pose less problems with having accidents in the cab, will likely have less pent up energy and will require less attention, allowing a driver to get the job done. 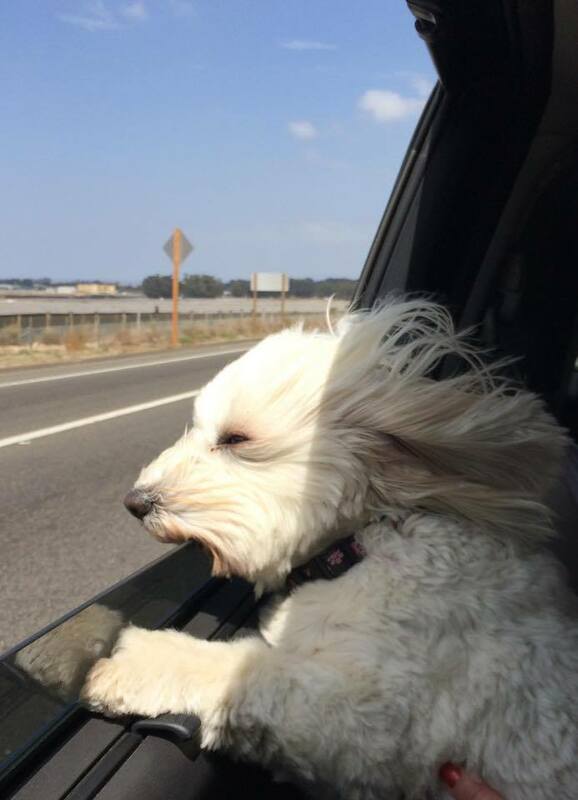 Imagine the older dog much like an older human passenger. They are happy to go along for the ride and often need very few stops and the occasional pat on the back to feel content with where they are. Whatever age, breed, or size of dog that you take along with you on the road, keep in mind that traveling is as stressful on them as it can be for you. Make sure to frequently check on your animal to see that they are feeling well and ensure that you can give them the attention they require before setting out on the road.